FREE NO OBLIGATION CONSULTATION (MEET & GREET). This will approximately be 30 minute in length to meet you and your pets ! 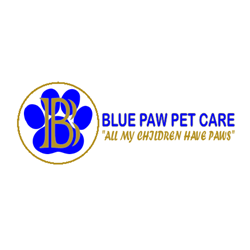 Our Blue Paw Pet Care will get to know your pets and discuss all services, needs, expectations and pricing . Paperwork will be filled out and keys collected at this time if you decide to use our services. Keys will be kept secure and can be returned anytime for a minimal addition of a mileage fee. Dog Walking Professionals, Cat sitting Experts and Much More! Pet Sitting & Dog Walking Made Easy! Now Serving Broward & Dade Counties. In-home pet sitting is viewed by vets as the best care choice when owners are away – and don’t your pets deserve the best? Blue Paw Pet Care is a professional pet sitting service with options ranging from mid day dog walking to overnight pet sitting in your home. Pet sitting is the easiest way to make sure your best friend is safe, healthy and happy while you’re away. There’s no need to ask the neighbors for cat sitting or dog walking favors; Blue Paw Pet Care’s pet sitting experts can deliver peace of mind to pets and owners in Hollywood, Davie ,ft lauderdale, Hallandale, aventura and sunny isles areas. We are licensed, bonded, insured, pet saver and CPR/First Aid Pet sitting service. Why hire a pet sitting service? Loving care in your home. Animals thrive on routine and familiarity. Their home is their sanctuary and some animals simply get nervous when boarded at a kennel . A pet sitting service can alleviate that nervousness while guaranteeing that your pets get the food, medicine and attention that they are used to throughout the day. Whether you need dog walking or cat sitting or any other service our pet sitting team conforms our schedule to fit their normal routine .